If you are a regular reader you will know that I am a fan of John le Carré literature, something my father passed on to me. So of course the latest adaptation of his 2010 novel Our Kind of Traitor, his 22nd novel, is of interest to me, and who isn't intrigued when a public figure is revealed to have had a secret of double life? Writer Hossein Amini who has a rich varied body of work (The Four Feathers, The Wings of the Dove, Jude, 47 Ronin, Snow White and the Huntsman, Shanghai, Killshot) and intrinsically brings relationships to the fore in all his works as well as has intelligently dealt with matters of secrecy, subterfuge and intrigue in his works like Peter Kosminsky's 1992 The Dying of the Light and Diarmuid Lawrence's 1996 Deep Secrets. He has just adapted Norwegian bestselling Author Harry Hole's The Snowman starring Michael Fassbender, Chloë Sevigny & Rebecca Ferguson for Tomas Alfredson who previously directed John le Carré's Gary Oldman starrer Tinker Tailor Soldier Spy. Amini is probably most well known for adapting Drive for Nicolas Winding Refn, again showing his versatility but should be more feted for his rather brilliant adaption and direction of Patricia Highsmith's The Two Faces of January starring Viggo Mortensen, Kirsten Dunst & Oscar Isaac. I would love to see what Hossein Amini does with a Bond story arc. I think Our Kind of Traitor Director Susanna White would bring all the right things to a Bond story. Not only a measured, nuanced approach to complex international intrigue but she also has an eye for action as demonstrated with her episodes, of one of the best War TV shows in recent history 2008's Generation Kill. My second choice would be the return of Martin Campbell (GoldenEye, Casino Royale) who constantly surprises, refreshes and updates with the demands of every film he takes on. A Bond story written by Hossein Amini, directed by Susanna White, shot by Roger Deakins (Skyfall & everything he does is beautiful), Hoyte Van Hoytema (Tinker Tailor Soldier Spy, Spectre, Interstellar, Dunkirk), Wally Pfister, Phil Meheux, Roberto Schaefer or new to the list - Anthony Dod Mantle whose long list of beautifully shot films, which includes: In the Heart of the Sea, Rush, Trance, Dredd, The Eagle, 127 Hours, Slumdog Millionaire, can add Our Kind of Traitor as the cherry on top. Would be a superb combination! If Daniel Craig was not to return, Susanna White could bring along my current favourite choice for Bond - Damian Lewis who stars in Our Kind of Traitor and she has also worked with on the fast paced TV show Billions. Lewis sparkles with intelligence and can certainly pull off the physical side of the role with aplomb. Besides he has a fair resemblance to Ian Fleming. Enough daydreaming already here is a list of 5 surprising real life celebrity spies that led double lives and the one you already know Mr. Ian Fleming. 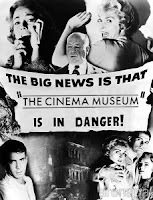 Over the years, the film industry has produced a plethora of films that capitalise on the theme of espionage and the life of a spy. Due to the illusive nature of those who work with top-secret government intelligence, a whole host of different characters have been concocted in a bid to represent the life of a person with one of the most mysterious occupations on the planet. We’ve been shown debonair men, who drive around in extravagant cars and adorn expensive suits, like the infamous James Bond, to the more unassuming and calculating spy characters such as George Smiley. The new film Our Kind of Traitor reimagines the spy once again, this time through the eyes of an unsuspecting couple who are thrust between the Russian Mafia and British Intelligence, neither of whom are as clear-cut good and bad as one would assume. To celebrate the release of Our Kind of Traitor which is being released via EST from 5th September 2016 and on Blu-ray, DVD, and VOD on 12th September 2016, we step away from the film industry’s perception of a spy, and instead look at some real-life spy heroes. We’ve blown the cover of some recognisable faces that we would wager you had no idea were involved in such top secret activities! Long before he wrote Charlie and the Chocolate Factory and James and the Giant Peach, Roald Dahl was a fighter pilot for the British Royal Air Force during World War II. Due to sustaining several serious injuries, Dahl was rendered unable to fly, and a whole new role was found for him. Dahl was transferred to work within a vein of the secret service network, based in the United States. Dahl was highly successful in his new, top-secret role, managing to pass on several useful pieces of intelligence. Of course, let's not forget that as well as his many childhood books, beloved author Roald Dahl, whose The BFG is currently in cinemas and whose play Charlie and the Chocolate Factory is still on in London under the eye of Bond Director Sam Mendes. Also adapted Ian Fleming's novel You Only Live Twice for the fifth film featuring spy James Bond. 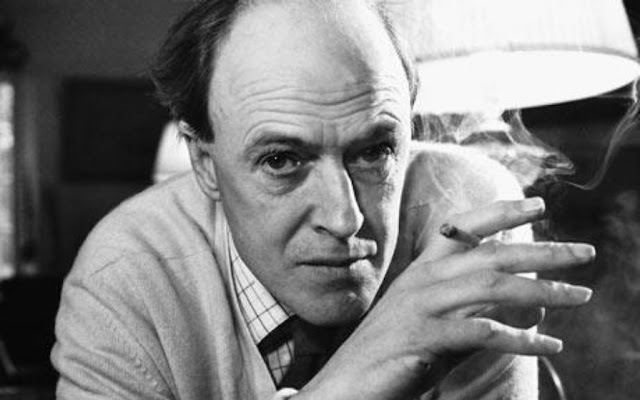 Fighter pilot, inventor, spy - the life of Roald Dahl is often stranger than fiction. 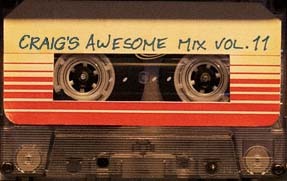 From crashing his plane over Africa to hobnobbing in Hollywood and his remarkable encounters with everyone from Walt Disney to President Roosevelt - this is the story of his greatest adventures and how his real-life escapades find expression in his most famous books, from Charlie and the Chocolate Factory to Matilda. 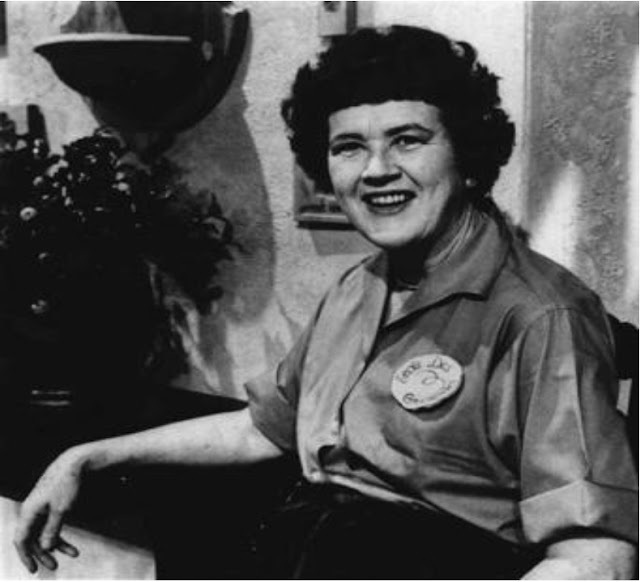 Julia Child is renowned for being a culinary queen, famous for her French cuisine - she also cooked up a secret double life as a spy. Despite being too tall to enlist in the Women’s Army, Child was determined to contribute to the war effort, and subsequently joined the Office of Strategic Services in the secret intelligence division. She had a dynamic and successful career as an intelligence officer, with her new occupation leading her too far off lands, such as China, Sri Lanka and the US for top-secret assignments. The American-born, French dancer, singer and civil rights activist became iconic for her energetic dancing and scantily clad, risqué, musical performances. Josephine’s occupation as a dancer meant that she often travelled around France, which is a fantastic cover for her involvement with the French Resistance. She was able to move around France with ease, without arousing suspicion as to the nature of her travels. The fame she enjoyed acted as a perfect cover up for her other role of employment: a spy. Baker successfully relayed information that she overheard from officials that would attend her performances. Her exploits did not go unnoticed; she was awarded military honours for her acts of espionage. Houdini is universally recognised for his awe-inspiring illusions and miraculous escape acts, however what is less widely known, is that he had a second occupation, working as a spy for Scotland Yard. Houdini’s duties included the monitoring of Russian anarchists and hunting counterfeiters for the US Secret Service. 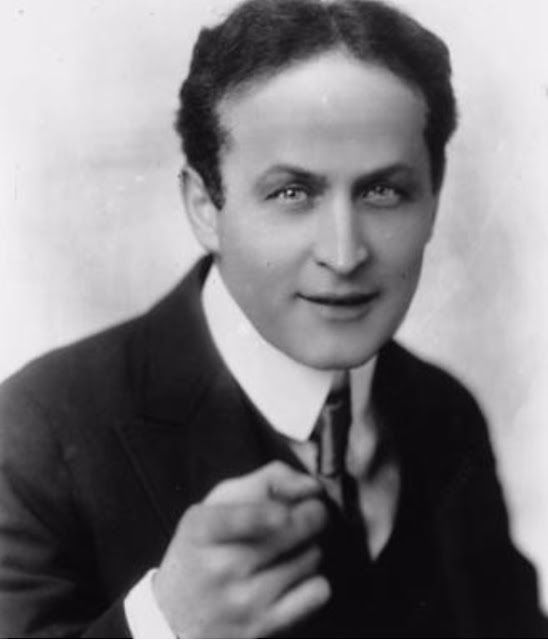 In return for his services, Houdini got access to some secret information that he used to further his career as an illusionist. 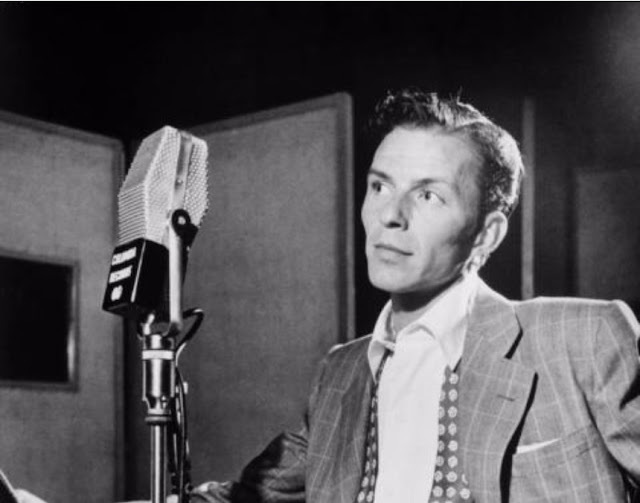 Frank Sinatra is best known for his incredible voice, creating timeless, jazz classics that are just as popular today as they were when he was alive. However, Frank was not solely involved in music, he also had close ties to the American mafia and the CIA. Sinatra is reported to have worked as a courier for American intelligence because of his occupation as a musician, similarly to Josephine Baker. Frank was so popular and was subsequently constantly touring the world, with his stardom taking him to far-off lands to play for his multitude of fans. Frank’s status as a star provided the perfect cover for his involvement in couriering high-profile, secret messages. 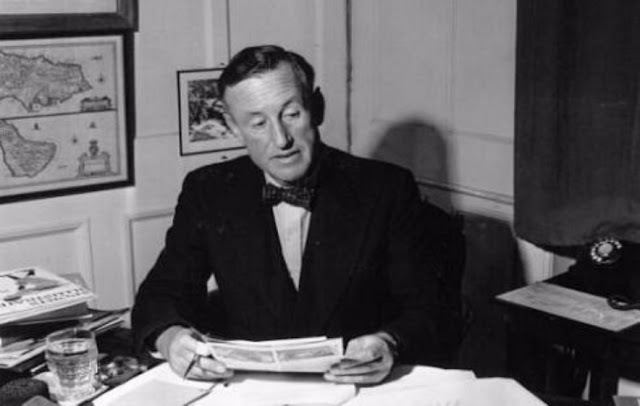 Author Ian Fleming, the creator of arguably the most famous fictional spy – James Bond, created the series of novels by plundering his own experiences as a spy when working for the British Naval Intelligence. Fleming was secretly trained at MI6’s headquarters in Bletchley Park and subsequently had a throng of real life experiences to draw upon when creating the infamous James Bond. Many believe that Fleming’s behaviour, including his sexual antics and unrelenting drinking habits are echoed in the pages of his novels, especially in his portrayal of the character Bond. Based on the novel by John Le Carre, discover a new dramatic thriller as it twists and turns its way around the world. Whilst holidaying in Marrakech, ordinary English couple, Perry (Ewan McGregor – Trainspotting) and Gail (Naomie Harris – Spectre), befriend a flamboyant and charismatic Russian, Dima (Stellan Skarsgård –The Girl with the Dragon Tattoo), who unbeknownst to them is a kingpin money launderer for the Russian mafia. Lured into a Russian mobsters plans to defect, the couple soon find themselves thrust between the Russian Mafia and British Secret Service agent Hector (Damian Lewis - Homeland), neither of whom they can trust. 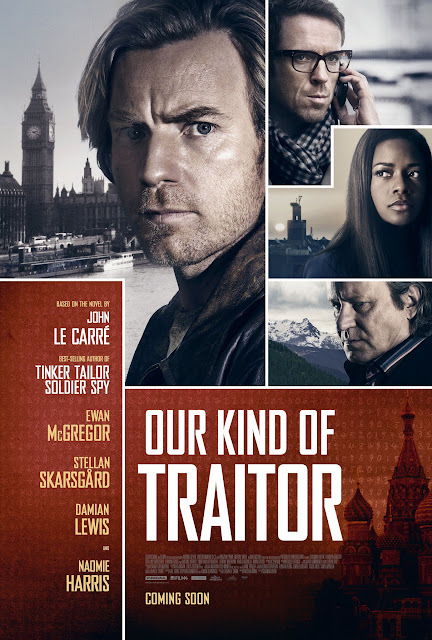 OUR KIND OF TRAITOR is released on EST from 5th September 2016 and on Blu-ray, DVD, and VOD on 12th September 2016.